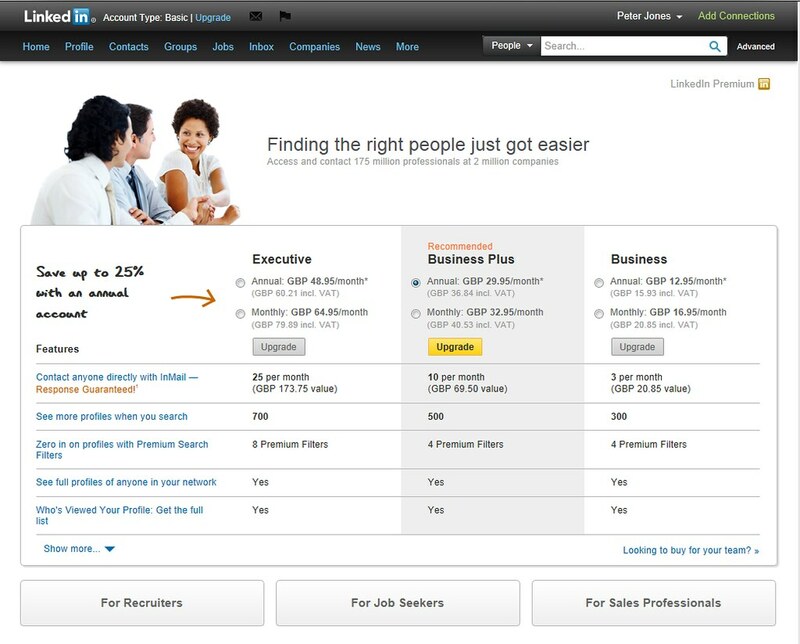 Where is the low cost, hard to find Linkedin Premium upgrade? 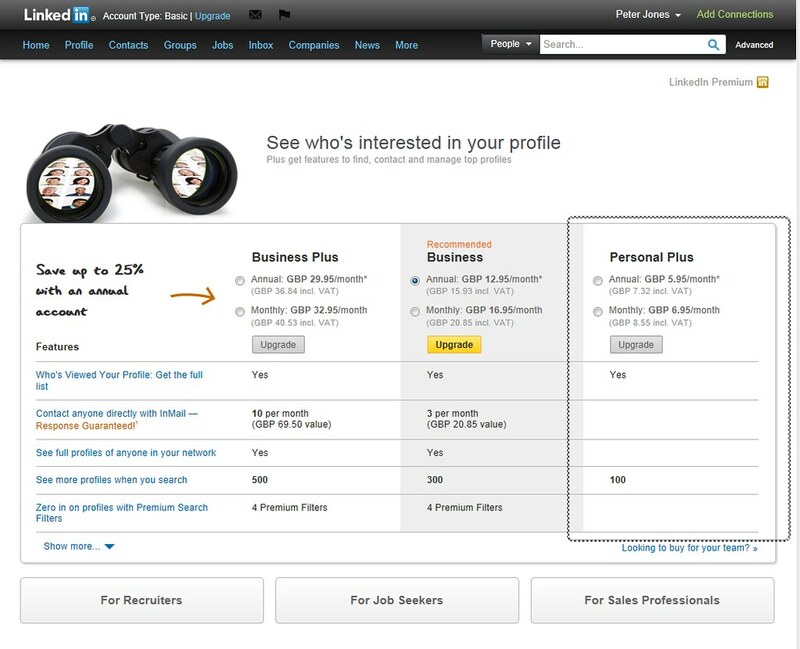 If you click ‘Upgrade Account’ on the menu drop down as shown above, you get the following options. 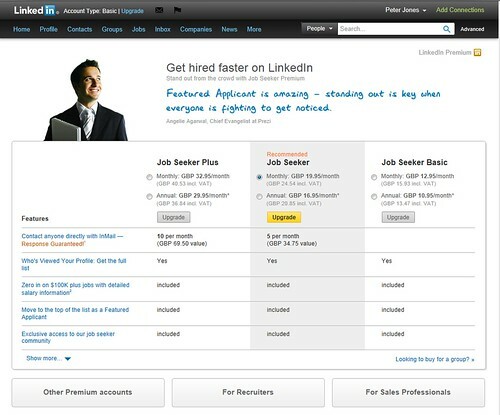 Linkedin Other Premium Accounts – £16.95 – £64.95 per month – not here either! 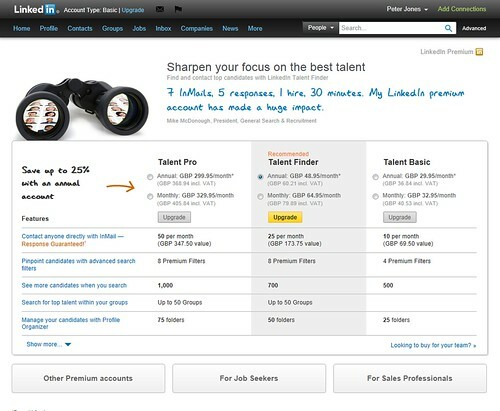 This is quite an array of Premium Accounts which have different features relevant to each different type of role. We are disregarding the pre-paid annual account costs here because we are assuming that you haven’t tried any of these yet, so are unlikely to simply upgrade straight to an annual account. So where is the other low cost but hard to find account? You need to approach from a different direction. From the home page, click on the blue text under “Who’s Viewed My Profile” instead. This brings you to this page. 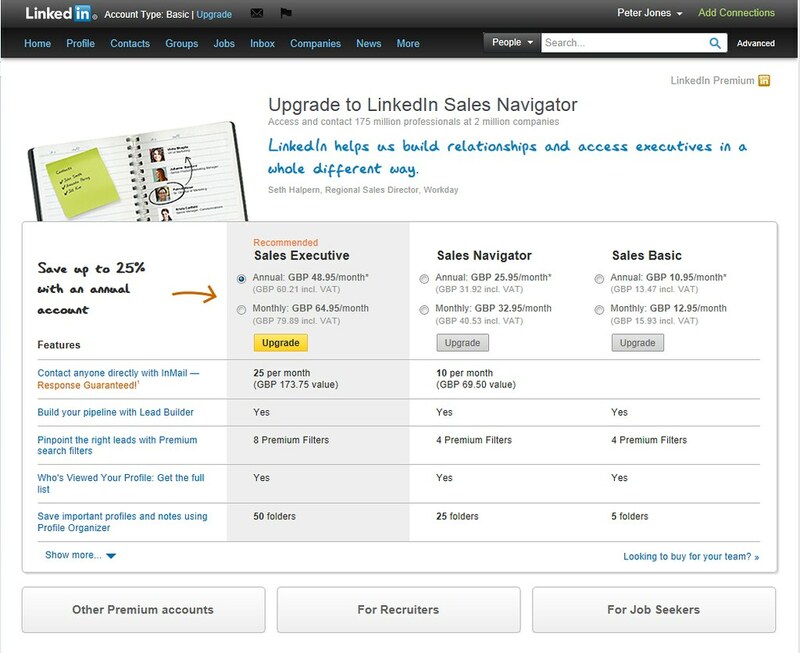 Clicking on “Upgrade your account…” brings you to the following page. It’s here! 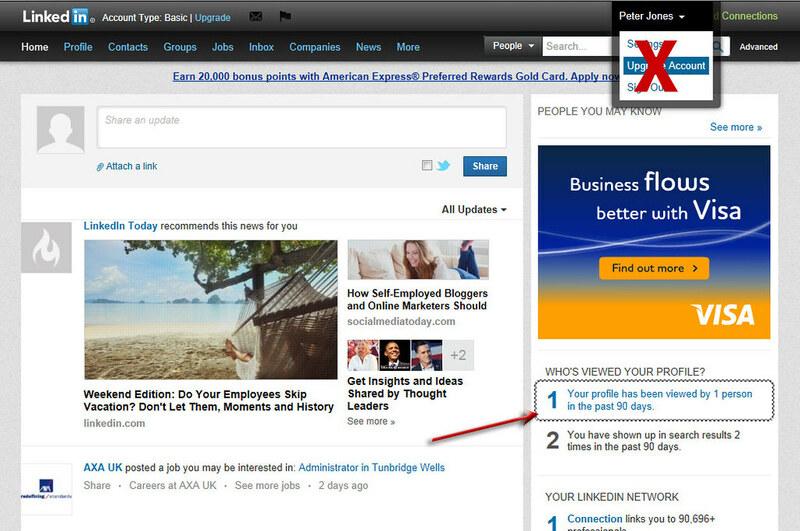 Lo and behold there is a Linkedin Personal Plus account which is just £6.95 per month. If you want to try a Premium account upgrade, this one gives you the upgraded views of who visits your profile, Openlink and a few other features and you can always try upgrading again to a more fully featured account once you see some of the benefits. We hope you liked this guide to a low cost Premium account. We regularly publish lots of tips and tricks to make your social media marketing more effective, so subscribe now and we’ll send you details as they are published. 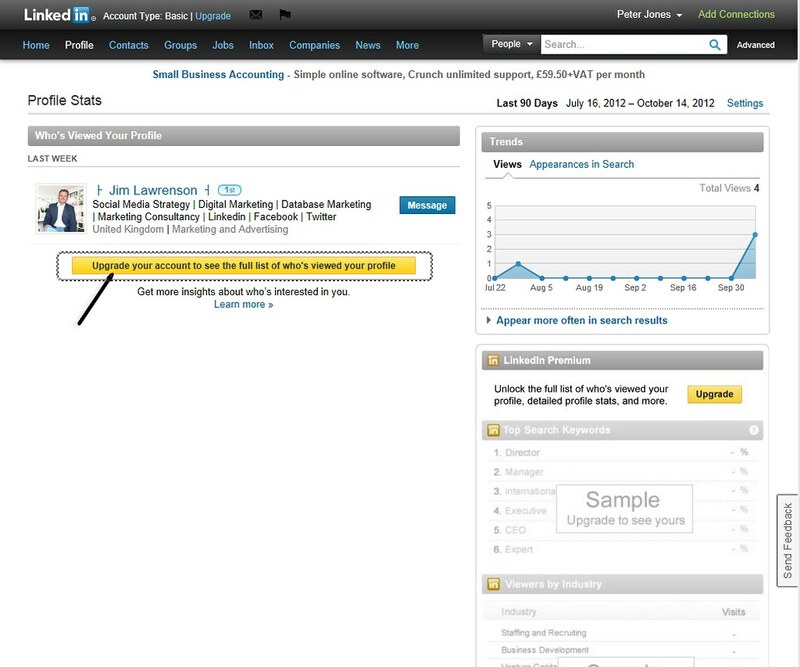 We can also help your business to use Linkedin marketing to generate new leads so fill in the enquiry form for a FREE Discovery session now! @CaryDennis You need to contact their helpdesk and ask them. My account has been blocked so I can't invite unless I know their email address. My fault I guess! Will upgrading resolve this?